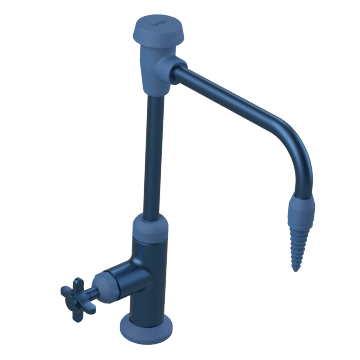 Rinse, clean, or fill labware and vessels with these laboratory faucets. 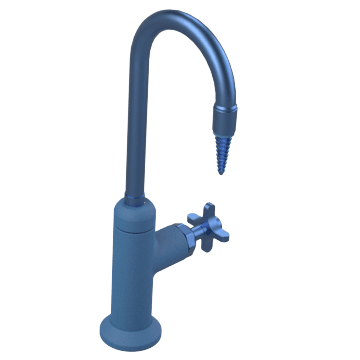 They have tall, narrow gooseneck spouts to provide maximum space under the faucet. A single handle controls water flow through these faucets. For use with cold water only. 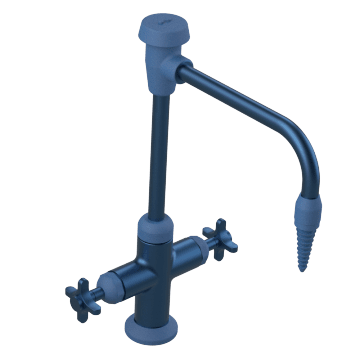 Dispense both cold and hot water with these laboratory faucets, which have separate handles for controlling hot and cold water flow. 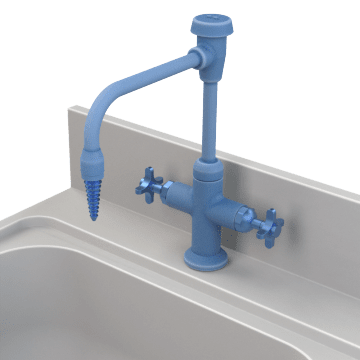 These faucets are constructed of non-reactive materials and are ideal for dispensing distilled and purified water. They have a single handle that controls water flow and can only dispense cold water.